On the 12th (Fri), get in on the family fun at Disneyland Park. 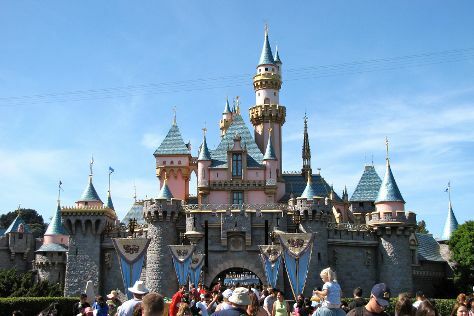 To find other places to visit, reviews, where to stay, and other tourist information, refer to the Anaheim trip planner . Vitoria, Brazil to Anaheim is an approximately 19-hour combination of flight and bus. You can also do a combination of bus and flight. You'll gain 5 hours traveling from Vitoria to Anaheim due to the time zone difference. Traveling from Vitoria in July, expect nights in Anaheim to be about the same, around 23°C, while days are a bit warmer, around 35°C. Finish up your sightseeing early on the 12th (Fri) so you can travel to Yosemite National Park. Start off your visit on the 13th (Sat): don't miss a visit to Olmsted Point, stroll through Tuolumne Meadows, and then take in the dramatic natural features at Glacier Point. 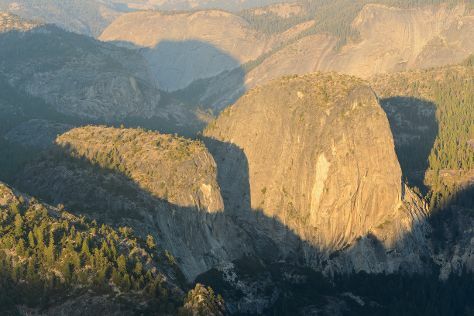 Keep things going the next day: don't miss a visit to Yosemite Conservation Heritage Center, then explore the striking landscape at Sentinel Dome, then take in the dramatic scenery at Vernal Fall, and finally hike along Panorama Trail. To find ratings, where to stay, photos, and other tourist information, go to the Yosemite National Park route tool . Traveling by combination of bus, flight, and car from Anaheim to Yosemite National Park takes 5 hours. Alternatively, you can drive; or do a combination of bus, flight, and taxi. Traveling from Anaheim in July, expect cooler with lows of 9°C in Yosemite National Park. Wrap up your sightseeing on the 14th (Sun) early enough to drive to San Francisco. Shop till you drop at Ferry Building Marketplace and Ferry Plaza Farmers Market. Family-friendly places like Ghirardelli Square and Exploratorium will thrill your kids. And it doesn't end there: head off the coast to Alcatraz Island, shop like a local with Union Square, stop by City Lights Booksellers, and take in the views from Golden Gate Bridge. To find where to stay, more things to do, ratings, and more tourist information, read San Francisco trip itinerary planning app . Drive from Yosemite National Park to San Francisco in 4 hours. Alternatively, you can do a combination of car and flight; or do a combination of taxi, bus, flight, and subway. When traveling from Yosemite National Park in July, plan for slightly colder days and somewhat warmer nights in San Francisco: temperatures range from 26°C by day to 16°C at night. Finish up your sightseeing early on the 17th (Wed) so you can travel back home.